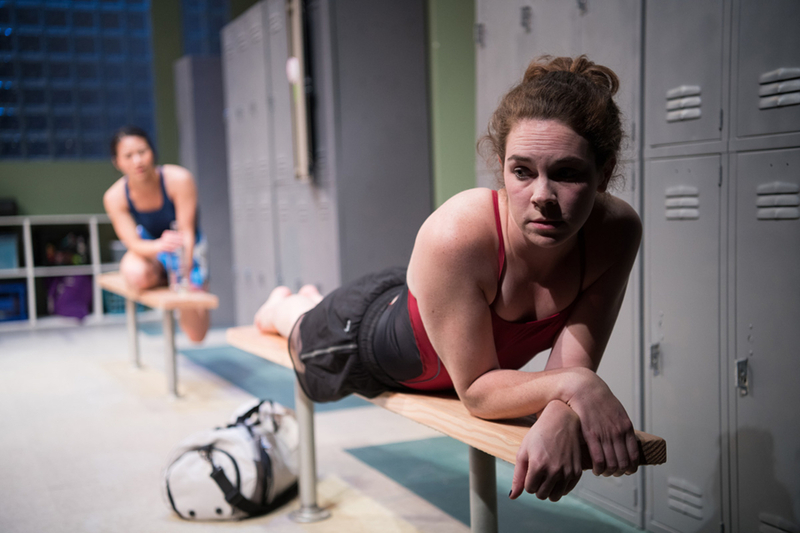 Shotgun’s current production, Dry Land, is definitely on the “impossible” end, and it’s pushing so many buttons that it’s “had an impact on our box office,” according to an email sent to theater patrons last week. And yet, true to its mission, Shotgun has actually decided to extend this play, in the hopes that a few more people might take the chance to hear this particular story. 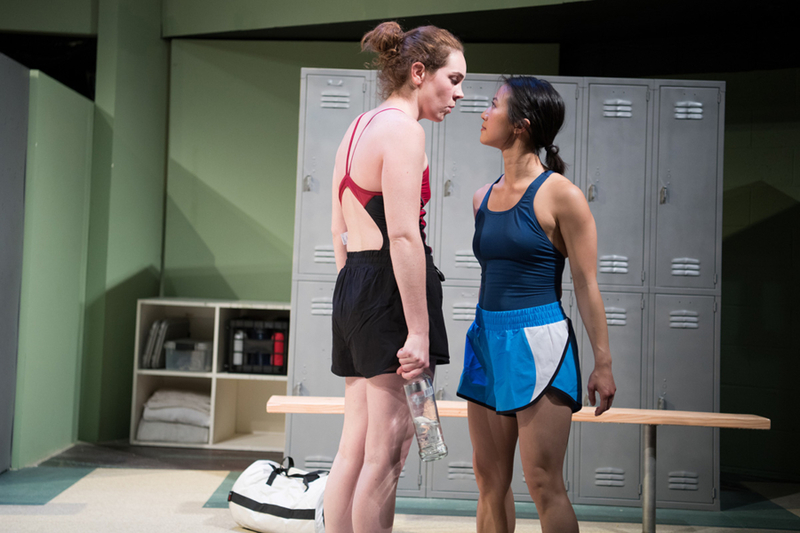 The play focuses on a complicated relationship between two teenage girls on a high school swim team, one of whom is facing an unwanted pregnancy. It is gritty and raw and real: the playwright, Ruby Rae Spiegel, was a 21-year-old Yale student when the play first premiered in New York. The production has been very well received by younger audiences, such as Berkeley High School students, but many older audiences — who are the theater’s core supporters — are finding the play too disturbing and challenging. Near the play’s conclusion, an actress playing a pregnant teen has a painful miscarriage — a DIY abortion — right on stage, in what feels like real time. The scene is long, it is graphic and gruesome, and viscerally painful to watch. There is a lot of thick blood and other bodily fluids: everything is revealed, nothing is left to the imagination. Most nights at least one person walks out to the lobby during the performance feeling dizzy, and some theatergoers have even fainted (once even stopping the production). “You may hate it or you may love it, but you are going to have to go home and be with it,” said Martha Brigham, who plays the lead character Amy. What she calls the “big scene” is so intense that the playwright has built in a six-minute interval right afterwards, when a janitor cleans the mess on the stage very slowly and thoroughly, to allow people time to process what they have just witnessed. Because of audiences’ intense reactions, even those who love the play are not talking about it or recommending it to their friends, said Shotgun managing director Liz Lisle. And while this silence has taken “a toll on ticket sales,” the theater has decided to extend the play anyway. Dooley said the play impacted him deeply from the first time he read it. “I grew up in rural West Virginia, and people there are moms and dads at 19 and 20,” he said. His own mother was a high school valedictorian, and then got pregnant with him during her senior year of college. “There is something so primal about this particular experience,” he said. “As a teenager, part of your body is an adult — you can give birth — but you are still a child. You are negotiating what it means to have intimate relationships, and it’s all coming at you so quickly.” Dooley said that the Berkeley High School swim team got very involved in the play. “The adults were more scandalized than the young people were,” he said. “We are looking for stories that have not traditionally been told about women,” Lisle added. “We want to stage narratives that are clearly prevalent in our culture, but don’t get a lot of exposure.” At one performance, the only standing ovation was from a teenage boy. During the talk back, he said that he was grateful because the play gave him access to an experience he could never have witnessed otherwise. 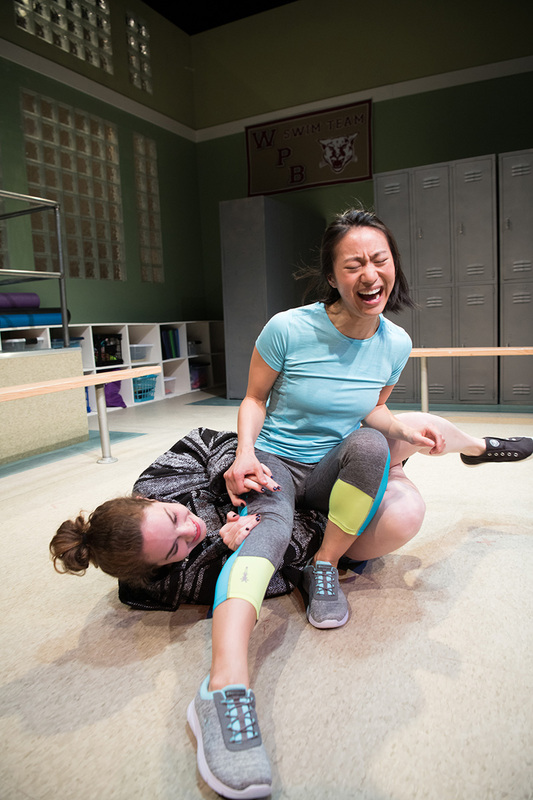 The play takes place in the locker room of a Florida high school, and much of the action focuses on the relationship between Amy and Esther, a new girl at school. In Florida, teens need parental consent for an abortion, and Amy does not feel she can get that consent from her mother. So she spends most of the play trying to induce a miscarriage, with the help of Esther and hare-brained ideas she gleans from the internet. Brigham has also had high school students tell her about their experiences with abortion, and their friends’ experiences. “They stay for the talk back, and they have discussions with older people who don’t quite understand that this is still happening, even in Berkeley,” she said.